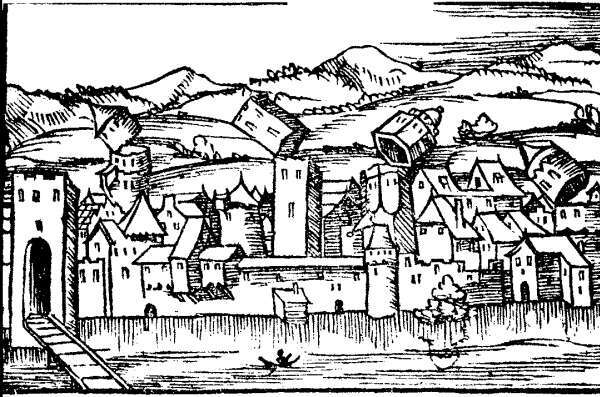 Abstract: Within historical times one of the most damaging events in intra-plate Europe was the 1356 Basel earthquake. Given its significance for assessing regional seismic hazard in central Europe, an interdisciplinary project was launched in 2005 to re-explore this event. Our effort aimed to incorporate techniques from history, seismology, archaeology, paleoseismology and engineering. New and reinterpreted historical data from Basel and its surroundings plus archaeological findings on buildings that survived the event and still exist enabled this macroseismic assessment. Palaeoseismological studies combined with historical evidence provided additional data. For the surrounding areas, archaeology offers sparse information on some castles and churches, sometimes supported by historical records. A contemporary source allows some reconstruction of the stronger fore- and aftershocks. This expanded information base improves our sense of the event’s damage and consequences. For the city of Basel, the relatively abundant archaeological data allowed us to assess statistically the macroseismic intensity at IX, although the pattern of damage was scattered. Data points for the expected area of damage around Basel are not distributed regularly. The absence of historical and archaeological findings for southern Germany might be due to archival problems; future investigation may improve this situation. Our results confirm that the Basel earthquake was the most destructive known for central Europe. Intensities up to VIII are found within a radius of about 30 km. Analysing the macroseismic field confirms our former assessment of the event and shows an epicenter located about 10 km south of Basel. The most probable range for the moment magnitude Mw is between 6.7 and 7.1.